What is the value of the Ten Commandments? This tract reveals that rather than being rules for life, they are pronouncements of our guilt before God, which help us to understand our need of Christ. 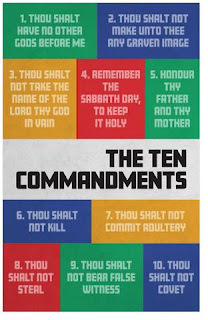 Many people speak reverently of the Ten Commandments. They display them, memorize them, and try to live by them. But if we think of the Ten Commandments as only “a pattern for life” or “the moral foundation of society,” we are missing the point entirely. 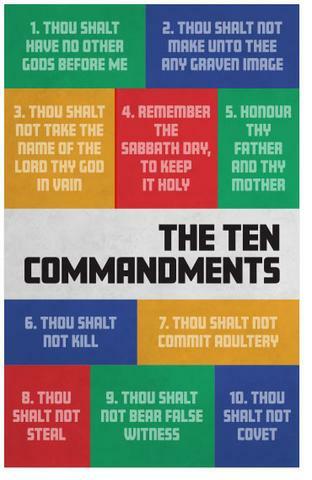 The Ten Commandments prove to us that we fall short of God’s holy standard. In short: they teach us that we are sinners. Can you honestly say that you have not violated even one of the Ten Commandments? Sure, some of them are easier to keep than others, but do you set aside one day a week—every week—to honor God? Have you ever dishonored your parents? Do you steal time from an employer by checking your phone? Have you downloaded things you didn’t pay for? Have you ever used God’s name in a cursing or careless way? When was the last time you saw something and wished you had it? Each of these breaks one of the Ten Commandments. James 2:10 tells us that in God’s eyes, “Whosoever shall keep the whole law, and yet offend in one point, he is guilty of all.” This means that if you have ever broken just one of the commandments, you are as guilty of being a sinner as one who has broken all ten of them. We try to justify ourselves with thoughts of “I do this” and “I’ve never done that,” but the truth is that we are all sinners. “All have sinned, and come short of the glory of God” (Romans 3:23). I fear for anyone who thinks they can stand before God some day and convince Him that they deserve Heaven because of their righteousness. If you think you are “good enough,” then you’ve never honestly examined yourself against God’s Word! The good news is that “Christ is the end of the law for righteousness to every one that believeth” (Romans 10:4). All of the efforts of sinners like you and me could never take away a single sin. But Jesus Christ, the sinless Son of God, “put away sin by the sacrifice of Himself” (Hebrews 9:26). Through His death on Calvary’s cross and glorious resurrection, Jesus has opened the way to Heaven. When we turn to God and put our trust in Jesus Christ, a wonderful transaction takes place—our sin is washed away and His righteousness is applied on our account (2 Corinthians 5:21). So many people are “ignorant of God’s righteousness, and going about to establish their own righteousness” (Romans 10:3). What about you? Have you seen the hopelessness of trying to live up to God’s standard? Have you cast yourself upon His mercy and asked Him to save you? Call out to God and put your trust in Jesus today!